If your blood sugar is below 70 mg/dl, eat or drink something to raise levels quickly, such as hard candy, ½ cup of soda, ½ cup of fruit juice, or 3 to 4 glucose tablets. If needed, repeat after about 15 minutes. Seek medical help if there is no improvement. If your blood sugar is above 350 mg/dl, and you feel ill or stressed, call your doctor for medical advice. 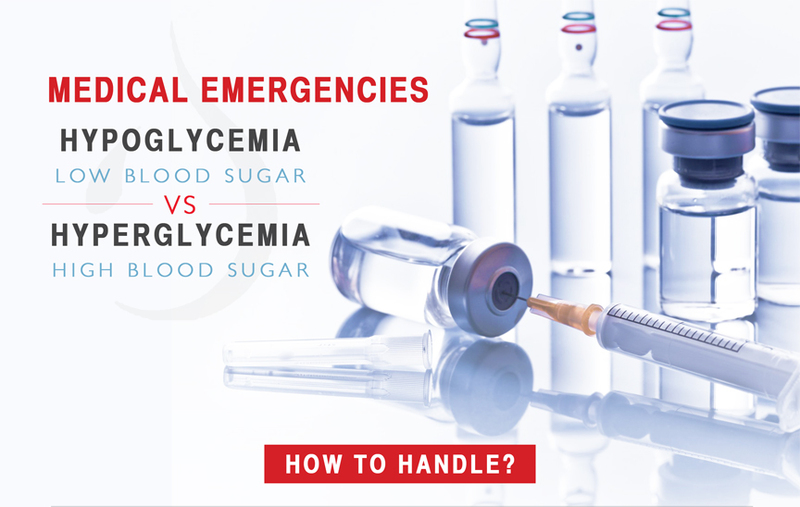 If it is 500 mg/dl or higher, see your doctor immediately or go to the emergency room for treatment. This condition could be fatal. Emergency treatment will likely correct the problem within hours.